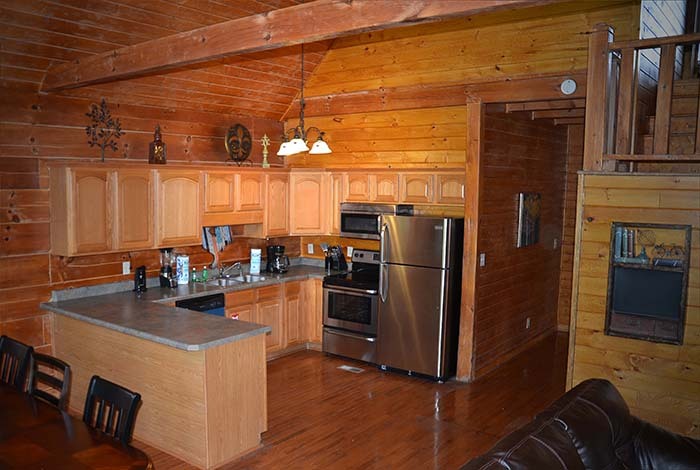 If you are looking for that truly one of a kind vacation spot, then look no further than River's Edge Retreat. 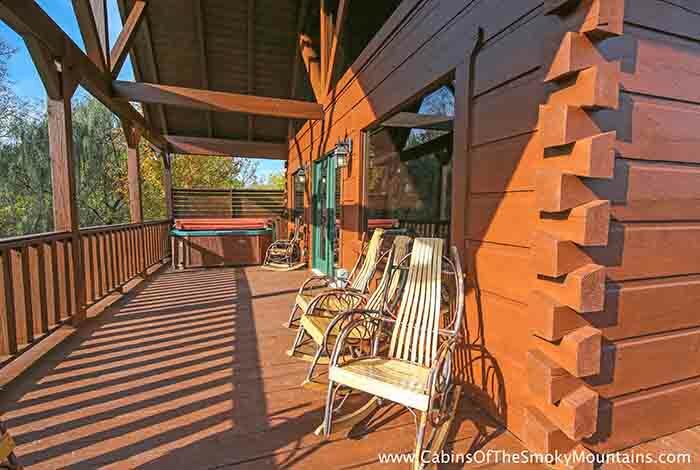 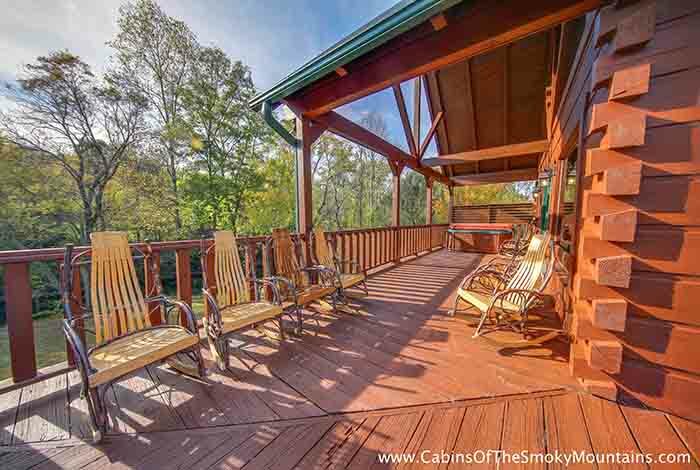 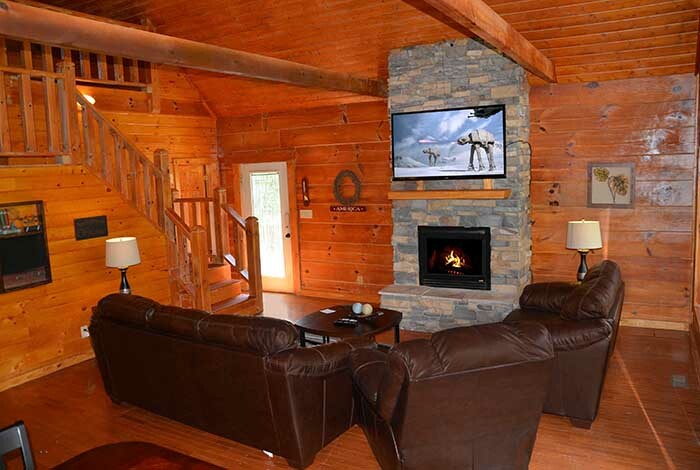 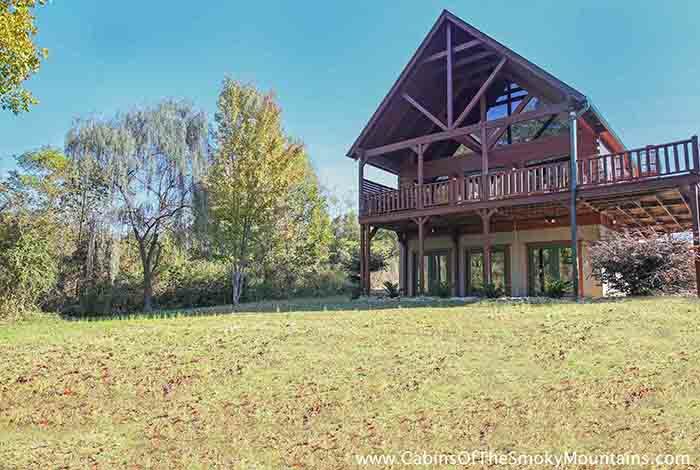 This amazing luxury cabin rental has everything you could ever want in a Smoky Mountain vacation. 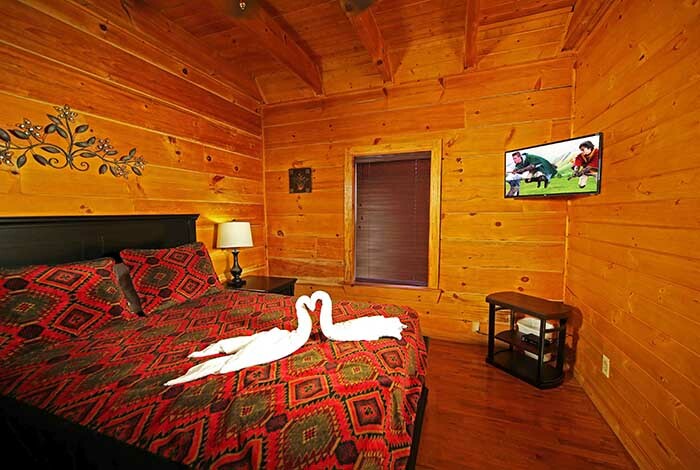 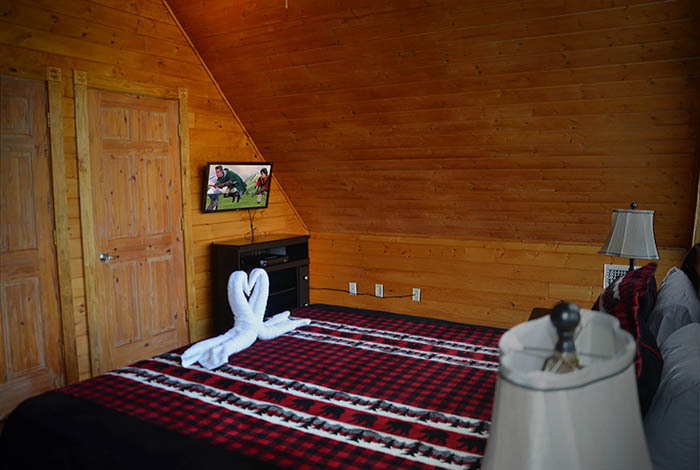 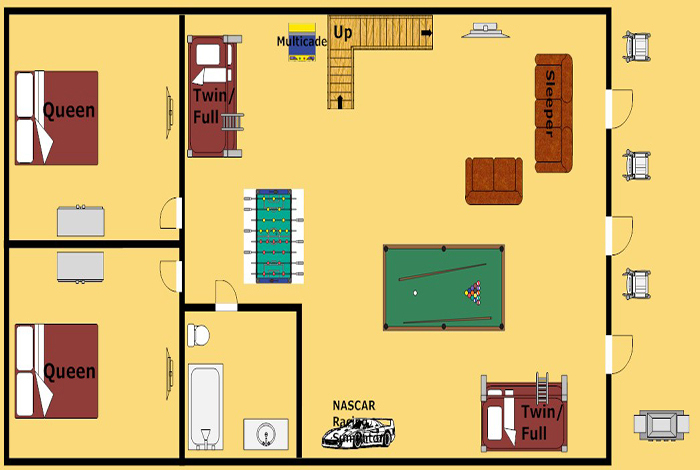 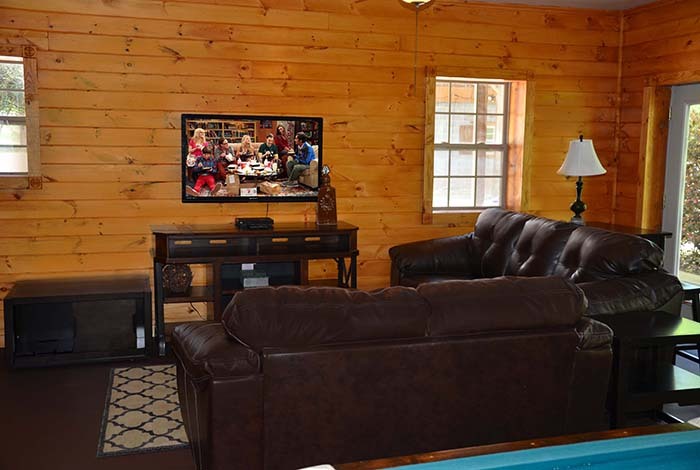 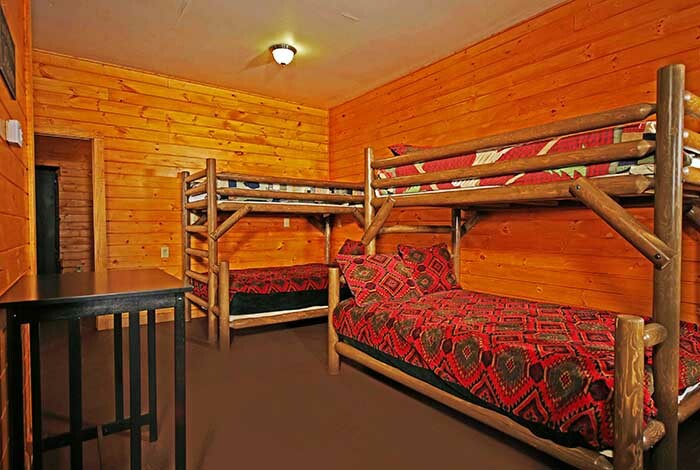 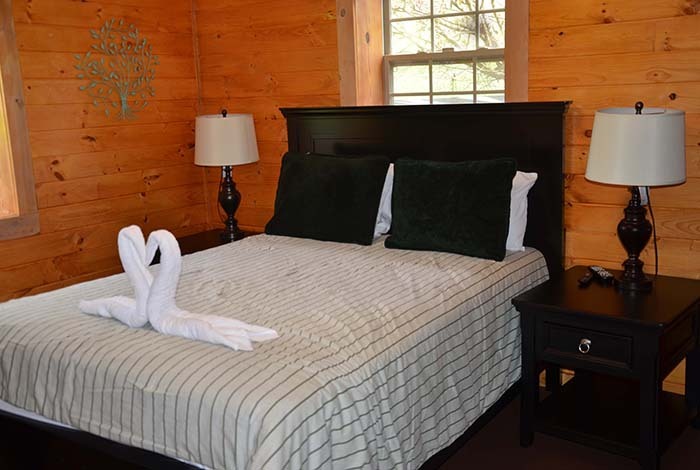 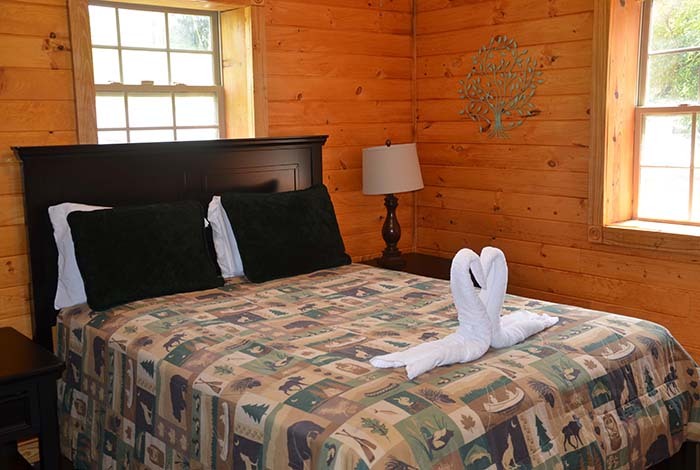 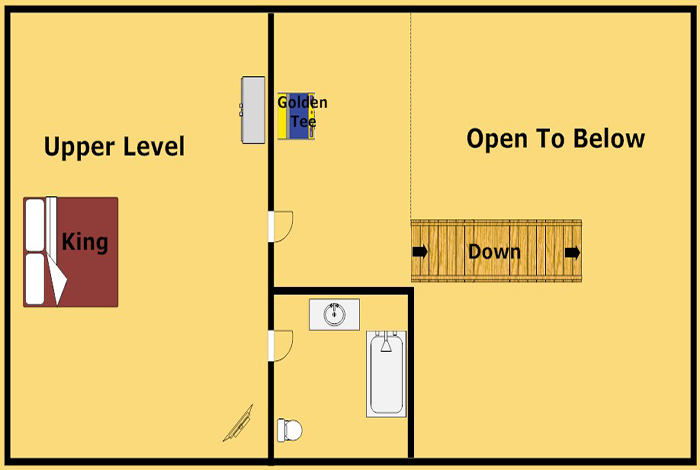 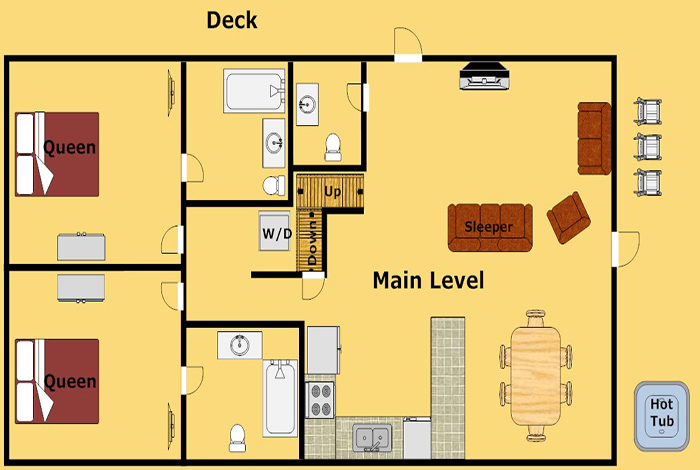 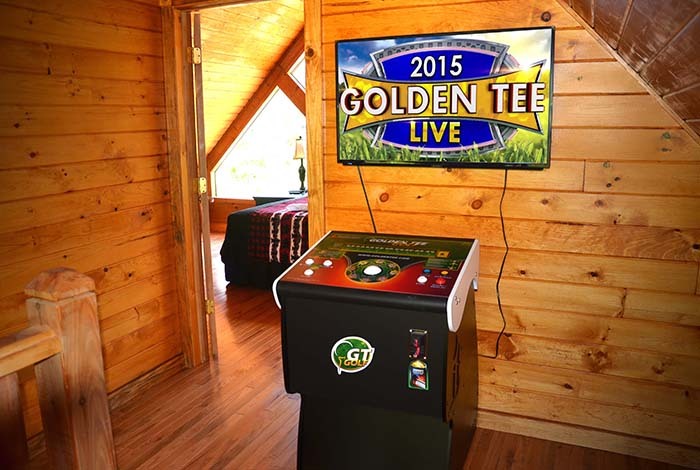 Enjoy all the amenities this cabin offers such as a private hot tub, pool table, and arcade games. 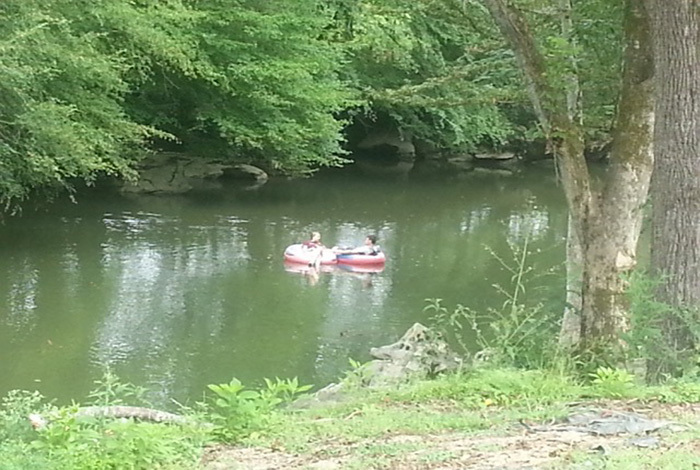 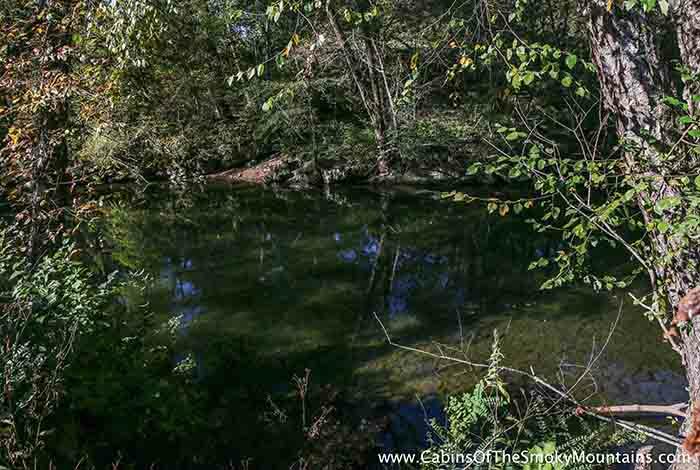 Best of all, 10 feet from the property is the endless fun of the Pigeon River. 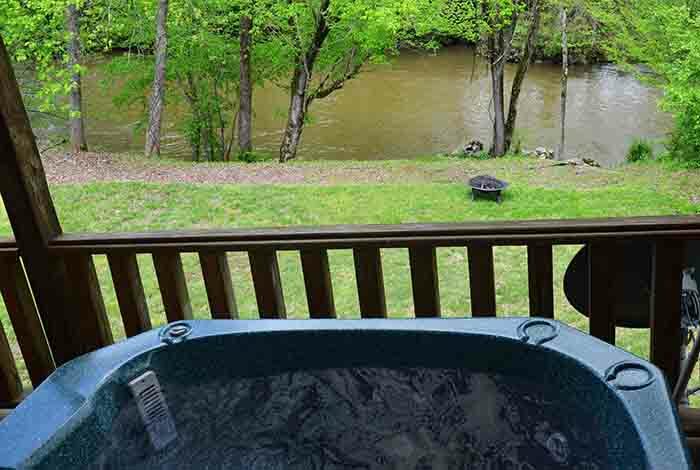 Sit on the back deck and enjoy the ambiance of the river, or feel free to take a dip because you will have your own landing for getting in and out of the water. 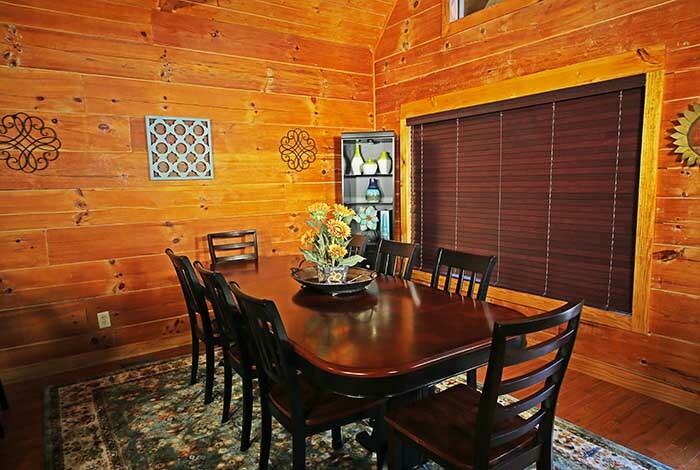 Once you are finished swimming, just walk over to the picnic area and enjoy a cookout with your friends and family, or hang out by the fire pit. 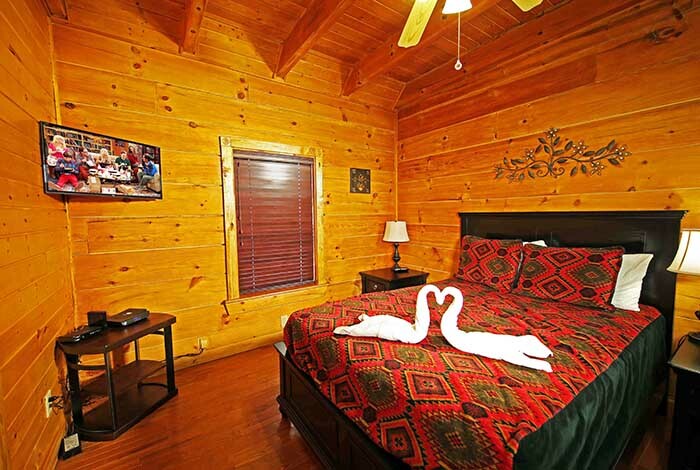 No matter what you are looking to do for your vacation, River's Edge Retreat has everything you could hope in your Pigeon Forge and Gatlinburg vacation experience!